Thanks to Thymes for sponsoring today’s discussion! The holiday season can come up fast! If you’re not prepared it can be an overwhelming season for any homeowner. 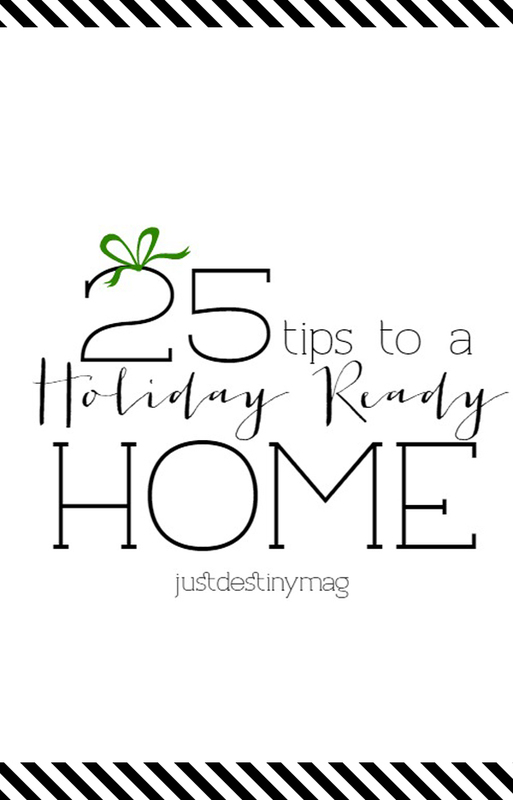 Below I’ve listed 25 tips to get your home holiday ready this year. 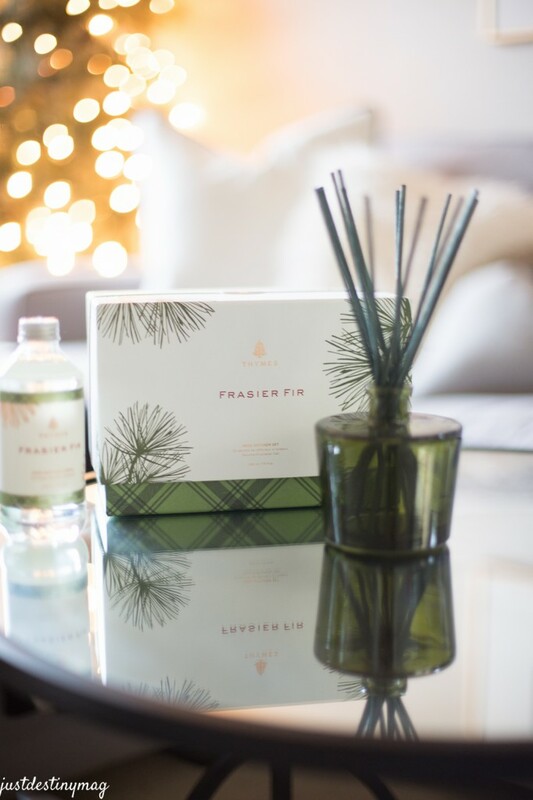 With the help from my friends over at Thymes and their Frasier Fir fragrance line you will have your home ready for guests invited or unexpected! 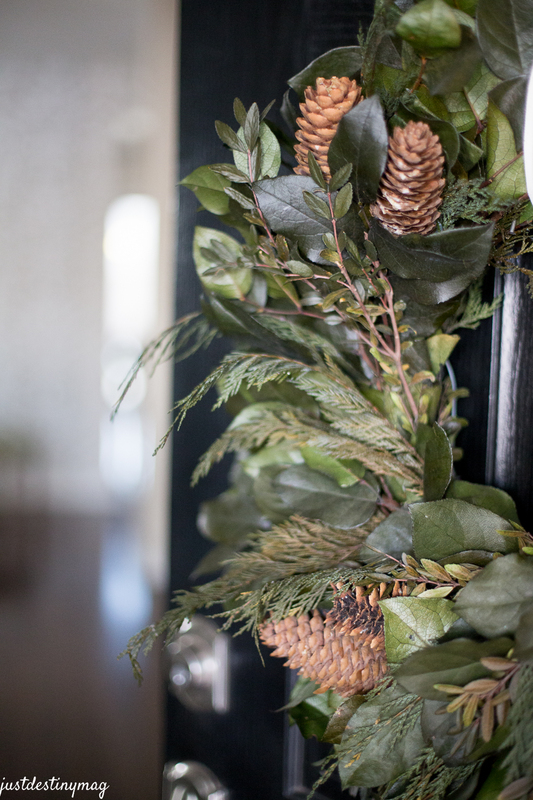 1.Add a welcoming wreath to your entrance. 2. 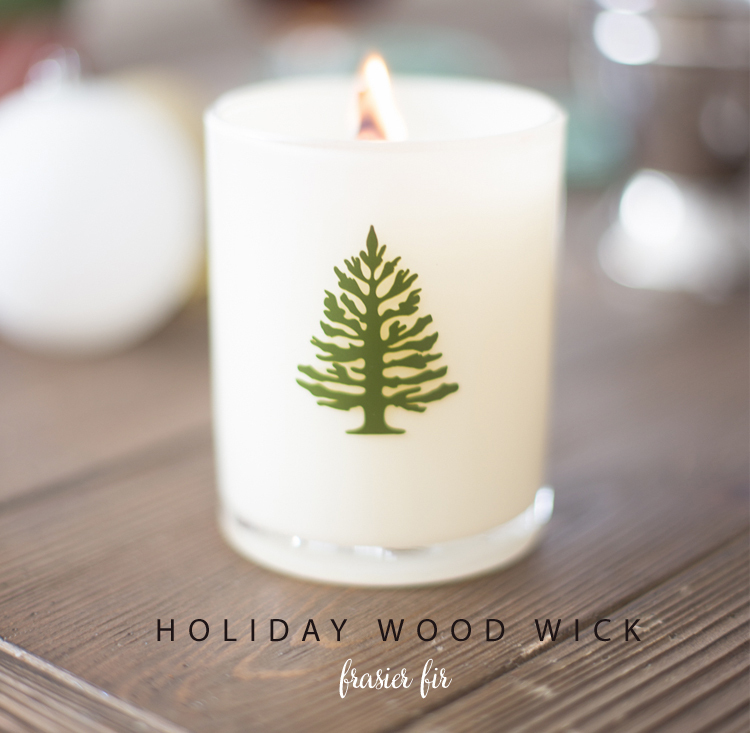 Put a scented candle next to the door so guests are welcomed by a cozy and warm fragrance. 3. Add a bowl of candy or mints by the door as guests head out. 4. Shine your door. 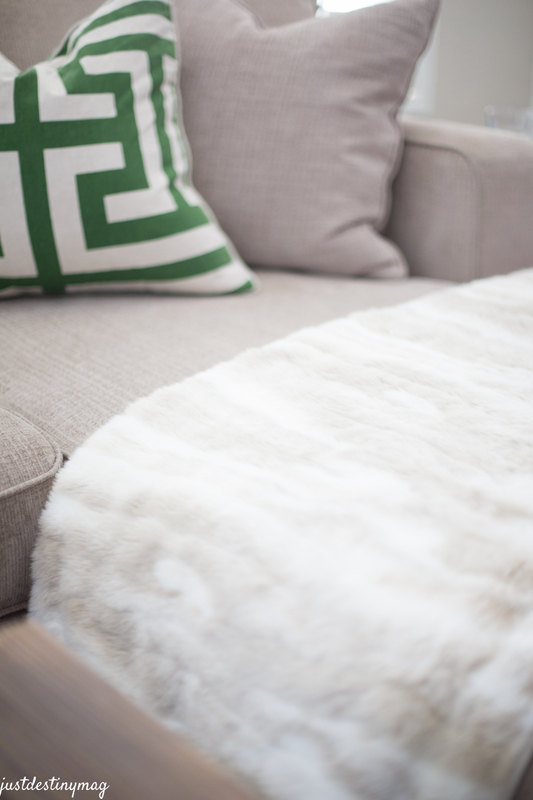 Get our the furniture polish and give your door a nice clean! 5. Have a holiday playlist ready to play over your surround sound or set up a wireless speaker for a festive happy entrance! 6. Change out your pillows. 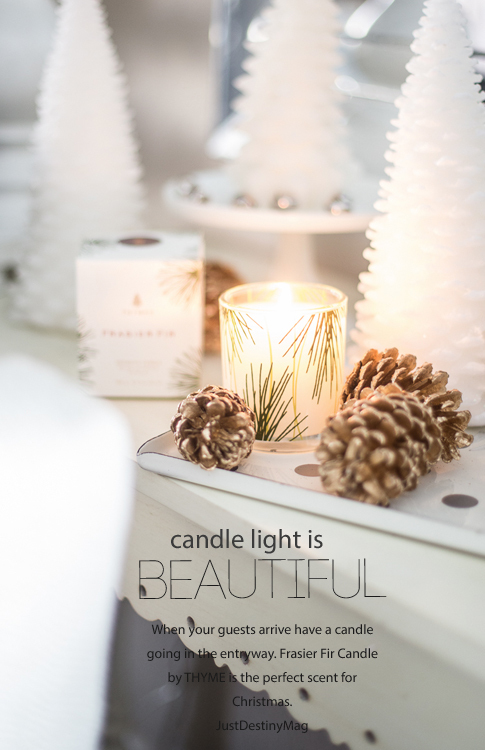 This is the one of my favorite ways to bring the Christmas spirit into my home! I LOVE pillows! 7. Clear off your coffee table and make room for drinks. Put away all your clutter and keep things clean. Bring out some festive coasters so your table stays protected. 9. Burn an aromatic candle. These ones from Thyme called Frasier Fir smells like your in the middle of a fresh forest. After burning them for a couple of hours this week the smell is still filling the room. I absolutely love the fact that I can have it out on the table and be able to still smell it. 10. 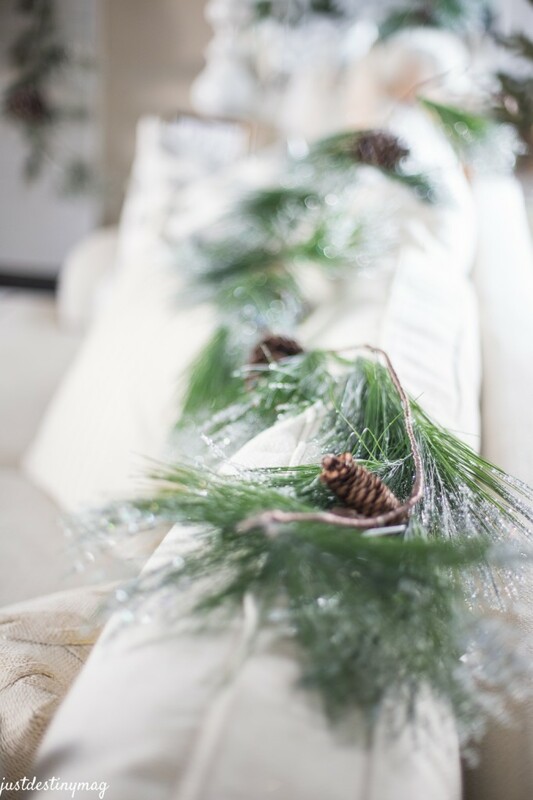 Add garland to the backs of your sofa for a touch of holiday sparkle and greenery! 11. Clean out your junk drawer and make room for party supplies like straws and skewers. 12. 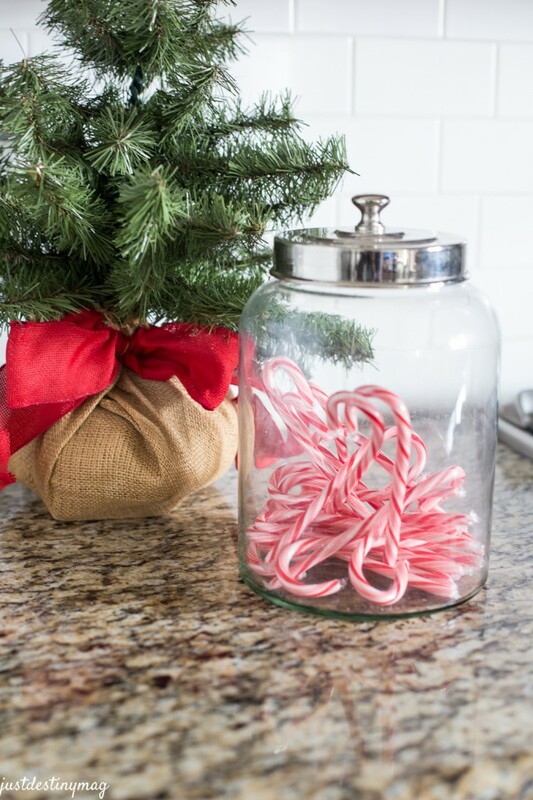 Add jars full of candy canes and small trees to the counter for a pop of color. 13. Bring in the outside with scented soaps and cleaners to keep your holiday home smelling fresh. 14. Pack the pantry with bubbly and have your wine cups stocked and cleaned. 15. Section off a place for all your holiday recipes and baking supplies, so when your ready to bake this season everything is in one place! 16. Add fresh flowers to the sides of beds. 17. Put out magazines for your guest to browse through. 18. Use a diffuser! 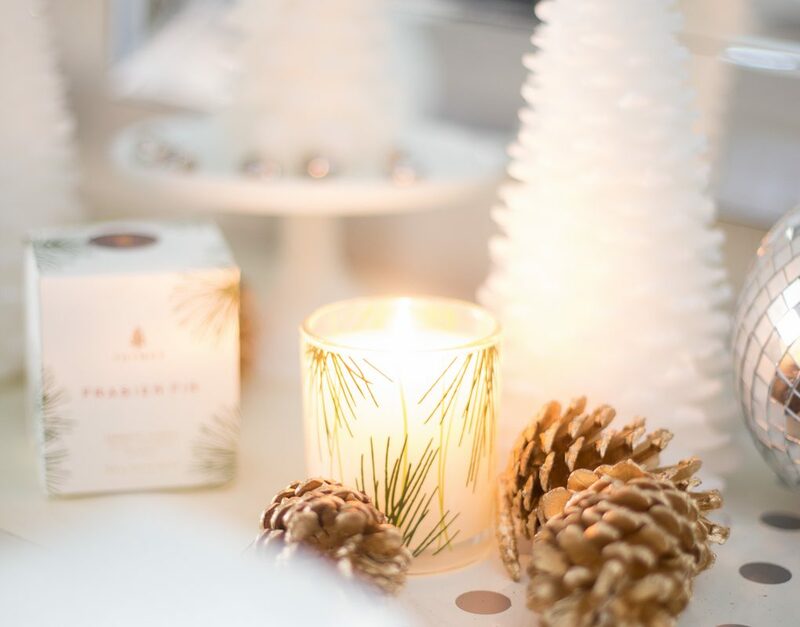 Rattan reeds absorb Thymes scented oils, releasing a halo of graceful, evocative fragrance in the air. Elegant, consistent, simple and maintenance-free. 19. Add a small tree to the corner of the room with Christmas lights. It gives the room and extra source of light and makes everything magical! 20. Change your out your down comforter to something a little warmer. I love using velvet duvets during the winter Add extra blankets to the foot of the bed for cold nights. 21. Make guest packages. Included fresh towels, body wash, wash cloths, shampoo, conditioner and lotions. 22. Deep Clean. Make sure you clean the deepest corners of your bathrooms so your guests aren’t looking at unwelcoming grime. 23. Put out your special soaps and lotions. Thyme has just the set for your bathrooms! 24. Add a dimmer to your bathroom too add to the mood. I’m such a candle snob and these make the cut! Not only do that last but the scent is unreal! All it takes is one candle to fill my entire downstairs! But don’t take my word for it. 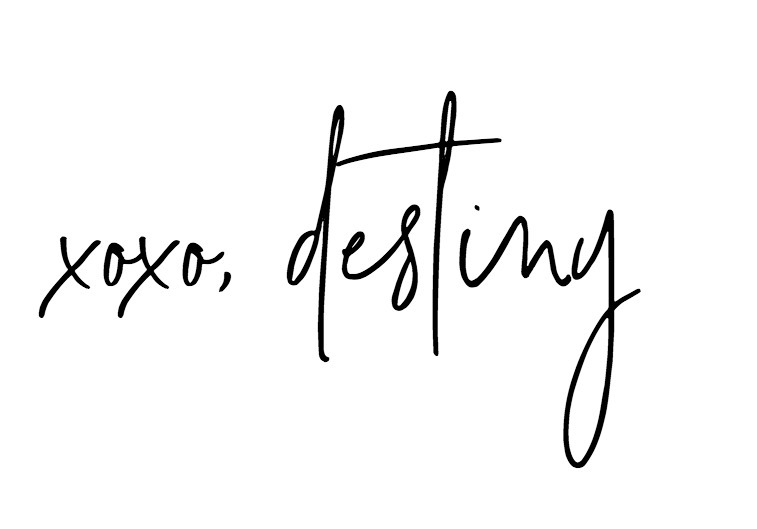 Try it out for yourself! Right now at Thyme candles you can enjoy a beautiful sample kit of some of their amazing products! 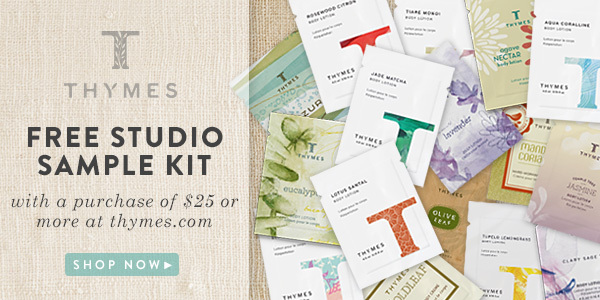 Once you’ve done a little browsing, you can redeem your exclusive offer for a free Fragrance Studio Sample Kit with any purchase of $25 of more!